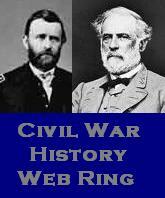 To my loyal blog readers, my apologies for not actually posting something worthy on the actual anniversaries recently, but I do want to share with you that the last several days have commemorated some momentous events related to the history of the Civil War. One of the reasons was that I was out of town visiting my parents for Easter, followed by a trip to Branson, Missouri to celebrate my mother’s birthday, which is actually April 15 (yes, I do appreciate the irony as a historian of her birthday). On April 7, my Dad and I traveled to Illinois College, my alma mater to hear Dr. Robert Welch, who also writes a blog The Eagle and The Journal, which deals with Macomb, Illinois during the war via articles from its two main papers during the war The Eagle and The Journal. Check it out, as it’s quite good. Welch brought a lot of gear to his talk and drew a crowd of around 75, who were quite interested in his topic on Civil War Living History and Reenacting, including its uses as a teaching tool, which resonates with me quite well. April 9 marked the 150th anniversary of the surrender of Lee’s Army of Northern Virginia to Ulysses S. Grant at Appomattox Court House. I unfortunately missed the NPS program on it, but my good reenacting buddy Den Bolda had two questioned answered during the live-stream, which was quite cool. I did make a Civil War trip out of it though, as my Dad and I visited Wilson’s Creek National Battlefield that day. I had been there before in 2011 to reenact for the 150th, but did not get to see much, so it was fun to take time with him and survey the park, despite limited time. April 14 marked the 150th anniversary of the assassination of President Abraham Lincoln by John Wilkes Booth at Ford’s Theater in DC. Finally, April 15 marked the 150th anniversary of his death. Springfield is abuzz with activities leading up to ceremonies commemorating the anniversary of his funeral, so, if you are in Springfield, be sure to take in the festivities. With that I will leave you with some photos of Welch’s talk and my visit to Wilson’s Creek. Smithsonian Institution. 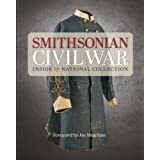 Smithsonian Civil War: Inside the National Collection. Washington, DC: Smithsonian Books, 2013. 308 pp. $40.00. This book reflects the efforts of the Smithsonian Institute to commemorate the 150th anniversary of the war by showcasing the many unique and special items housed in their collections related to the war. While it is not a scholarly monograph, this book is a wonderful piece that belongs on the shelf of those interested in the Civil War for both scholarly and general interest pursuits. It provides hundreds of beautifully detailed photographs of objects housed in the collections, including uniforms, equipment, photographs, and documents. In addition, informative captions describe and discuss the objects. This is coupled with thematic and chronologically-focused stories to provide context to the substantial amount of images. The book covers many themes related to the war, including the home front, slavery, freedom, music, government, soldiers, material culture, and photography. Readers will find something for almost every possible topic related to the conflict within this book. What stood out for me on this book was the beauty of it and its construction, as a fairly sturdy hardback book. The paper quality is excellent, with glossy paper that allows the images to pop off the page. Related to the great construction and printing, is the price, which is quite reasonable for a large hardback book, making it affordable for many interested in the war. Through rich photography of items, coupled with informative and gripping stories and captions, this book will hopefully build interest in learning more about the Civil War well beyond the recent 150th anniversary commemorations. Younger readers will be able to access the book via the rich imagery, while adults can discuss with them the stories behind the photos, fostering learning. The Smithsonian did an outstanding job with this book and I recommend it for all folks interested in the Civil War as one that should be on your wish list and eventually your shelf. Smithsonian Civil War is a glowing testimony to the expertise and quality of the Smithsonian’s commitment to preserving our nation’s history, including the Civil War. If you don’t have a chance to visit the physical museums in Washington, consider getting this book to allow you to take a virtual tour. To my readers, I want to apologize for neglecting this blog for so long and not posting anything for almost a year. I have not left blogging and am not done with this site, but life’s been quite busy with teaching and trying to finish a dissertation, so my free writing time has been limited. That said, I want to thank you all for sticking it out with this site and hope you will come back, as I hope to get back into it a bit more in the near future. 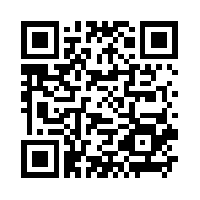 I am always willing to consider new topics to write about, so let me know. That said, I want to tip my hat to Kevin Levin over at Civil War Memory for sharing this interesting article from the Gettysburg Compiler via Facebook. Written by Kevin Lavery, an undergraduate student at Gettysburg College, while part of their Civil War Institute, this article on manuscripts and the right to be forgotten from history really made me think. As someone who has worked in a special collections department for over two years now, I deal with manuscripts of all types on a regular basis, including diaries and letters. These sources, as Mr. Lavery points out, are quite important to researchers, but the ethical dilemma he raises does hold some weight. Some of what he raises about historians’ responsibilities in dealing with unpublished sources is important, as we are dealing with another human being’s private conversation and while that individual may be dead, the intimacy of the words on the page do not lessen because of death. This means that such words must be treated with respect. Does this mean that we should not use them to understand the past? Certainly not, but it does mean that we must strive to avoid what is termed presentism, or applying the standards of our time to those of the past. My mentor from my undergraduate days always used the example of one of your descendants picks up a letter you wrote describing eating a juicy steak and recoils in horror. Though a little tongue in cheek, his point was that we do not want to be judged based upon the standards and values of a time we are not familiar with, so we should not judge those who came before us by our standards because their time held different values than ours in some cases. As I read such sources, I always try to see what such writings tell me about the past, but I am uncomfortable with the pseudo-psychological role that some scholars take when evaluating sources, as we can never fully understand what another human being felt during a given event, especially when recalling it in a later writing. 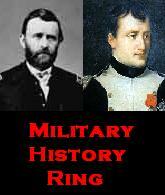 One of the best examples would be the field of military history. In writing about warfare, a scholar, who happens to be a combat veteran may understand, to an extent, the gripping accounts of battle written by a soldier long ago, as they share the same broad experience of being in combat. Yet, the differences would be in the nature of that combat, the personality of the soldier involved that wrote the letter, diary, or memoir, as well as the societal norms of that period. Sherman’s generalization that “war is hell” is as accurate today as 150 years ago, but the nature of war has changed in many ways since then. In the end, it seems that Mr. Lavery’s analysis would argue that we should let the authors of Civil War manuscripts speak for themselves and perhaps respect their privacy a bit by not delving into nuances regarding such writings. These men, and women, were writing to loved ones about an important event that was shaping their very lives, no more, no less. For them, it was a matter of staying in touch with home during a time when mail was slow and death could be quick. When faced with one’s mortality, even as a younger person, and with the technological limitations placed on your ability to communicate over great distances, the very soul of a man may be poured out on a piece of paper, in an effort to not leave something unsaid to those back home. I welcome your thoughts on this interesting subject. Today marks the 150th anniversary of an event, where roughly two minutes of “a few appropriate remarks” by President Lincoln became American history and myth. Though memorized by several generations of schoolchildren, the Gettysburg Address was just part of a larger commemoration of the final resting place of soldiers killed fighting to preserve the Union. The event was a dedication to the national cemetery that still remains as a solemn tribute to sacrifice for a nation and its ideals, with one of the nation’s premiere orators, Edward Everett, delivering a two-hour speech. The inclusion of Lincoln placed him in a minor roll within the larger ceremony, compared to Everett. Though his speech was secondary to the main oration, Lincoln was able to encapsulate the whole of American history and the momentous occasion of the Civil War and its importance in preserving the Union, while dealing with the big issue of equality, ultimately allowing the nation to live up to the principles of the Founders and the Declaration of Independence that he referenced. In 272 words, the President stressed the importance of the sacrifice of the soldiers buried there to the larger aim of securing the Union, while also referencing the new aim of the war, the ending of slavery. He also used the Address to show how the nation was changing and the hope that the idea first put forth by the founders in 1776 would endure forever. The remarkable thing about Lincoln’s speech was that while it was viewed in sharp contrasts by the media and nation, falling largely along partisan lines (sound familiar) between Democratic-leaning and Republican-leaning papers (media bias is nothing new), who either viewed the speech as “silly” or a momentous oration that was quite fitting for the occasion, that the Gettysburg Address has become one of the best examples of oration in American history. Lincoln’s short remarks represent one of the finest uses of the English language around, as he was succinct in his remarks and made every word command power. Though 150 years later, the Gettysburg Address is still worth remembering and commemorating. It is hoped that we still live up to the ideals of Lincoln’s “few appropriate remarks.” With that, I leave you with some cool sites related to the Address.